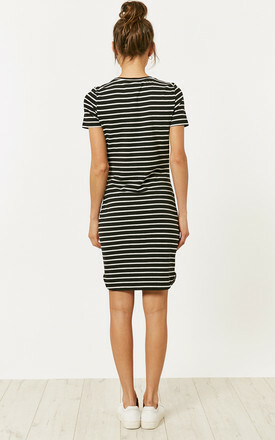 Look effortlessly cool this season in this black and white short sleeve dress. Crafted in classic stripes and featuring a round neckline, it's an understated addition to your weekend wardrobe. Keep it casual with white trainers or liven it up with heels and bright accessories.